I've given up on trying to fix the traffic and earnings plunge this site has suffered since Google started its series of "Panda" updates. I feel a bit sad about that. I hate giving up - it's just against my nature. I especially hate giving up when I'm still not entirely sure that there is not still some way to claw back to days of old. Yes, I've tried everything, but have I really tried EVERYTHING? Might I not have missed some silly thing? Perhaps. But the deeper I got into this, the more I realized that there is nothing I can do here that will change Google's lowered opinion of this site's value. Well, I shouldn't say "nothing" - there are small little glitches here and there and there is always room for improvement, but in the opinion of every expert I have read or talked to, none of these should be major factors. Sure, if you do enough small things that Google doesn't like you may reach a tipping point, but that doesn't seem to be what happened here. Rather, I suspect that the major damage came from trickle-down Panadanomics. That is, as Panda started to make itself known, websites everywhere started looking at cleaning up old content. Pages were torn down or edited ruthlessly. I did it and so did a lot of other folks. During that process, long standing links were lost. I didn't notice this at first because I didn't look deeply enough into my Analytics reports. 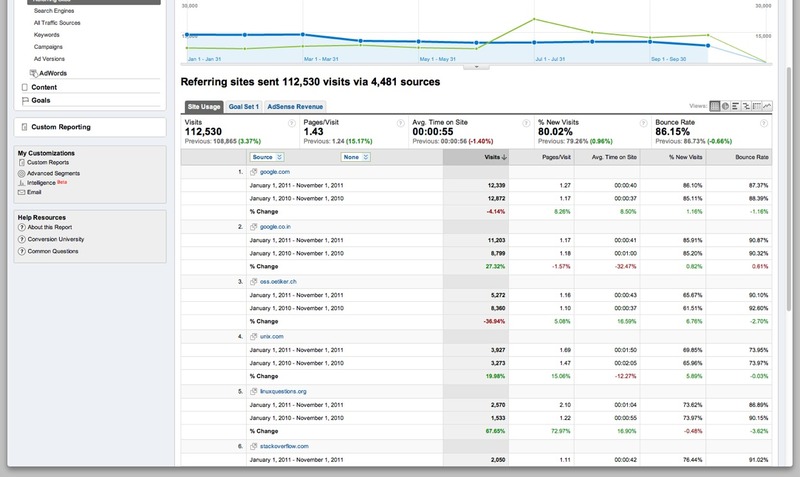 When I looked casually, I actually saw an upward trend - I was getting MORE referral traffic from many sites, not less. The overall number of referrals was down slightly, but not all that much. 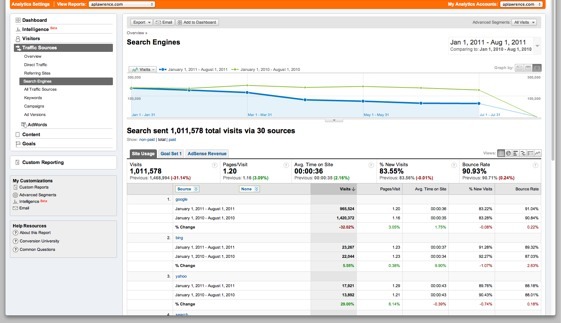 It certainly didn't match the overall traffic drop because that loss came directly from search engines. Overall, there is a large drop in traffic. The major loss seems to be from referring sites. So why has search engine traffic dropped so much? 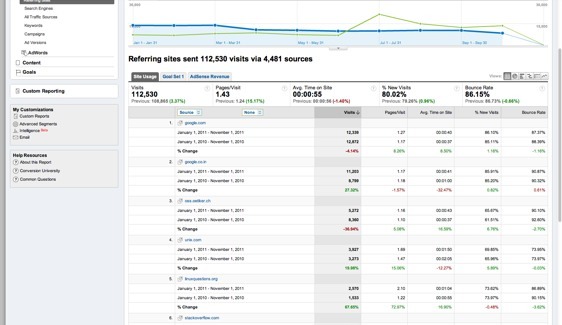 However, when I dug into the details of referral traffic, I found something disturbing. Many important referrals were down substantially. Thee are more, but I'm sure you get the idea. I've lost important inward links. I can't "fix" that. I can hope that, over time, I'll gain new links, but I can't recover those that have been deleted or changed to "nofollow". So, I give up. I'm done fighting Panda. Here's someone who had a bit more luck: Google-locks and the Three Faces of Panda. While that article may be useful to some, none of what it suggests applies here.